Polysafe's steel framed polymer panels are the most heavy duty modular panels on the market and give unrivalled performance in terms of strength and grip. The panels are also very durable and will outlast most other level crossing systems, making them highly cost effective. They are ideal for rail crossings of all types, but are particularly well-suited to sites with high traffic volumes or speeds and/or heavy loads. They are also popular on lower volume routes as they perform for many years without the need for replacement or significant maintenance. 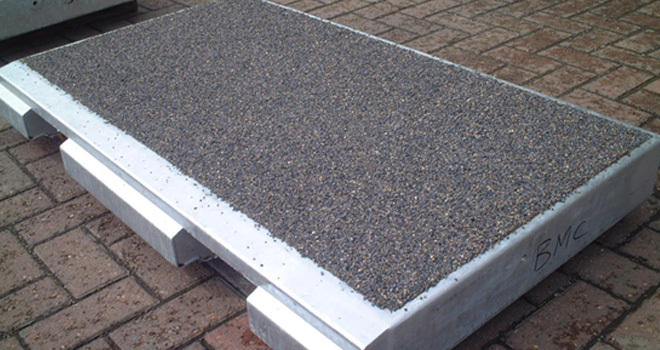 They have also been used successfully in unusual heavyweight crossings such as dock/port entrances, quarry sites etc. 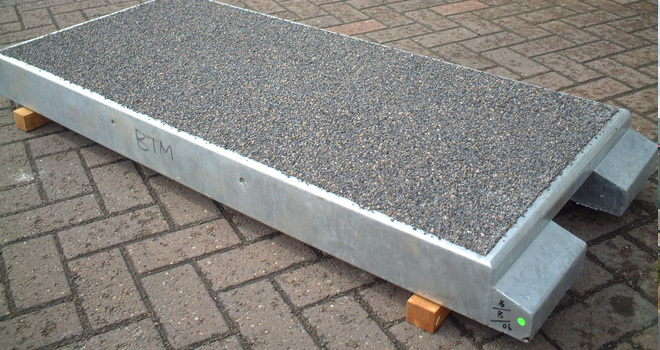 Although the panels offer a number of design improvements, they are still compatible with old Bomac panels and can be used in conjunction with these where only part of the crossing needs to be replaced. They can also be mixed with rubber level crossings (e.g. can be installed in the cess where there are rubber level crossing panels in the 4 foot). Easy to install, polymer panels offer excellent drainage, minimal impact on the rail infrastructure and minimal maintenance.